Casually refined, the Jacob Upholstered Bed is a stylish piece to outfit your bedroom. 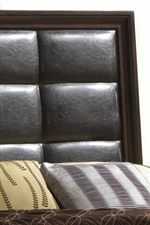 Key to its design is its beautiful upholstered headboard, emanating luxury and comfort with a black leather-like back. Lifted on bracket feet, it features paneling on the footboard for additional visual depth and detail. Finished in deep, dark brown, it emanates comforting tones that will make your bedroom a cozy escape. Perfect for those looking for a transitional style in their bedroom, this bed is available in King and Queen sizes. The Jacob Queen Bed with Upholstered Headboard by CM at Michael's Furniture Warehouse in the San Fernando & Los Angeles area. Product availability may vary. Contact us for the most current availability on this product. B6510-Q-RAIL Queen Rails 1 82" 1.6" 5.8"
B6510-Q-HB Queen Upholstered Panel Headboard 1 63.4" 4" 56"
B6510-Q-FB Queen Footboard with Slats 1 63.4" 2" 20"
Finish & Paint Options Features a dark brown finish. Handles & Hardware Straight hardware pulls. Case Detail Bracket feet and traditional mouldings. 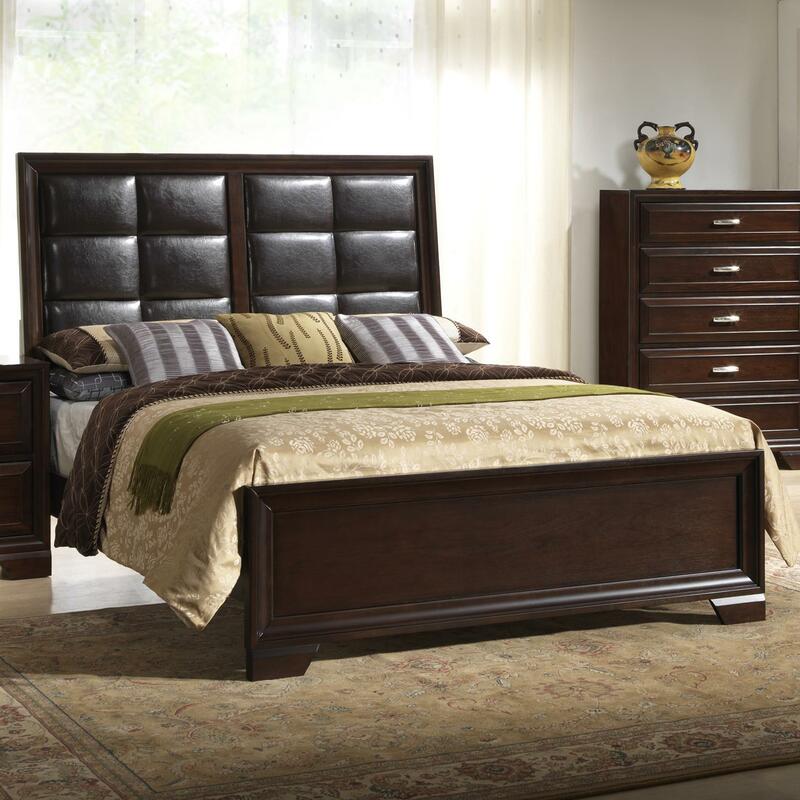 The Jacob Bedroom Suite is an impressive transitional collection to outfit your home. 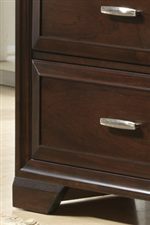 Finished in a deep, dark brown, the Jacob Collection is the perfect balance of traditional details and modern features. Details include bracket feet, traditional mouldings, sleek hardware pulls, and straight lines for a formal look and feel for your bedroom. The centerpiece of the Jacob Collection is the upholstered headboard, grandly-scaled with a beautiful leather-like, paneled back. Complete your home and sleep in style, only with the Jacob Collection. The Jacob collection is a great option if you are looking for Transitional furniture in the San Fernando & Los Angeles area. Browse other items in the Jacob collection from Michael's Furniture Warehouse in the San Fernando & Los Angeles area.